The departures of Reince Priebus and Anthony Scaramucci from the White House that bookended the weekend sucked up most of the media's attention. During that time, the United States found itself at the center of some massive international developments. 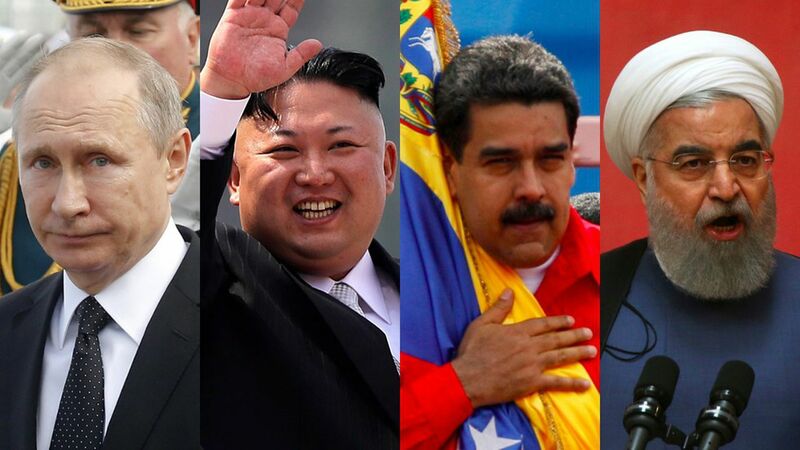 The two big U.S.-driven storylines: Branding Venezuela's leader as a dictator following a highly controversial vote over the weekend, and causing serious waves around the world with a sanctions bill against Russia, North Korea, and Iran that passed both houses of Congress. Contested constitutional election: Venezuelan President Nicolas Maduro held an election on Sunday to select members of a constituent assembly that will rewrite the country's constitution, which led to clashes that left at least 10 dead and was decried by the opposition — which refused to participate — as a tactic to keep Maduro in power as he alters the country's laws to secure his own power. The move led National Security Adviser H.R. McMaster and Treasury Secretary Steven Mnuchin to brand Maduro a dictator, freezing his assets and preventing Americans from doing business with him. Arrest of opposition leaders: Maduro took things a step further overnight as the Venezuelan secret service took away two key opposition leaders from house arrest — just days after they had posted videos online decrying Maduro's vote. Embassy payback: After both houses of Congress passed a sweeping sanctions bill, Russia ordered the United States over the weekend to cut its diplomatic staff in the country by 755 employees in order to match Russia's presence in the United States. That move will mostly affect Russian employees at the embassy, grinding the visa process to a halt and forcing those employees to enter an uncertain job market as "tainted" workers, per the NYT. Military buildup: At a time of increased tensions with the West, Russia is planning to move ahead with a long-planned military exercise along its western border — including Belarus and the exclave of Kaliningrad — that will bring up to 100,000 troops to its border with NATO nations. The big worry among security experts, per the NYT: those troops may never leave the area as a show of force, further ratcheting up tensions in a fraught time. Missile launches: North Korea launched another intercontinental ballistic missile on a 45-minute flight on Friday with a splashdown off the coast of Japan. Per CNN, the launch was the reclusive regime's most advanced yet — with Los Angeles, Denver, and Chicago almost certainly within its range if fired at a flatter trajectory. Submarine activity: In concert with North Korea's missile launches, the United States detected that the country has engaged in an "ejection test," which is a key part of determining if a missile can be fired from a submarine, per CNN. It comes as "highly unusual and unprecedented levels" of North Korean submarine activity have also been noted by military analysts. Pushing ahead with missile program: Iran also responded to both houses of Congress passing new sanctions against it surrounding its ballistic missile program with its foreign ministry spokesman calling them a move to undermine the Iran nuclear deal and blasting them as "hostile, reprehensible, and unacceptable," per Al Jazeera. Iran promised to forge ahead with its ballistic missile program, stating it is a domestic program that cannot be interfered with internationally.